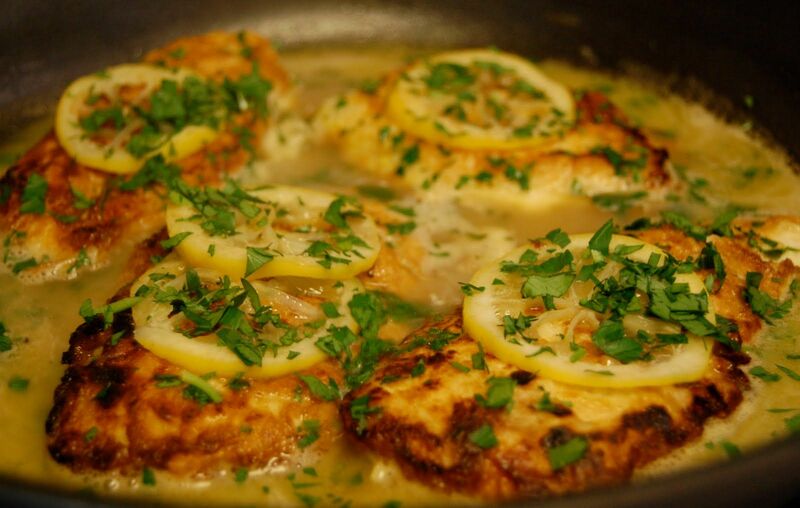 Chicken Francese is an elegant and delicious dish you can make for any occasion. It's fairly easy to make chicken Frances. You need to coat the chicken in flour and then brown it slightly. Warm oil, 4 turns of the container, over medium to medium-high warmth. Dig 2 bits of chicken in flour then coat in egg player and saute to profound brilliant, 2-3 minutes on each side. Rehash, expelling sauteed chicken to plate. Add cut lemon to dish, caramelize on one side then flip and add garlic to skillet. Blend it for 1 minute then add wine to container to deg-laze. Pour in stock and convey to an air pocket, whirl in the prepared, flour-covered margarine and twirl in container to shape sauce. Slide chicken once again into container and cook through, 4-5 minutes. Present with dried up bread or a side of pasta to retain sauce and sprinkle with parsley. Great. So we're not only eating chickens by the truck load. We are experimenting on them in every way possible. Thanks! That sure didn't ruin my appetite at all.